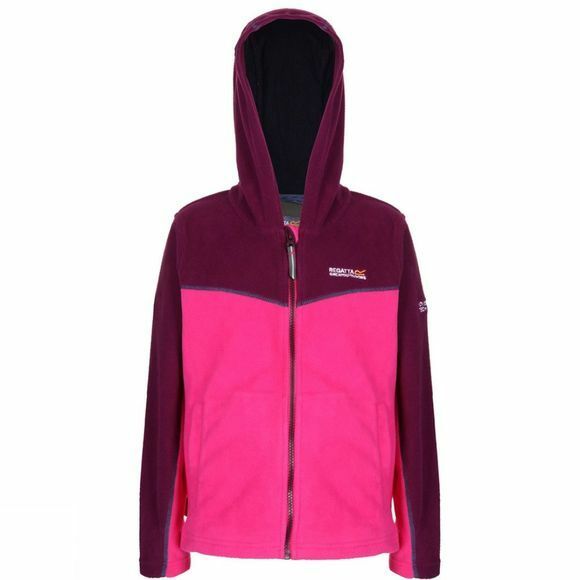 The Marty is Regatta's lighter-weight fleece jacket with a sporty, two tone design and cosy hood. The inside is brushed for extra softness and the outside has a special anti-pill finish to keep it looking new. Complete with a full zip fastening and handy lower pockets, it works brilliantly as a light outer-layer on warmer days or under their coats when there is a nip in the air.